Google productivity tips and you’ll receive a plethora of results. In fact you could spend the best part of an entire day reading the thousands of results that appear. You should resist reading them all though as that wouldn’t be very productive! The best productivity tips will be the ones that suit your business and your lifestyle so be discerning in taking on the most appropriate tips for you. Putting yourself and your needs last. Kids’ needs. Sickness and school holidays are a reality – plan for these times and be realistic about what’s possible. After years of trialing different approaches to achieving my ultimate productive day, these are my Top Ten Best Productivity Tips For Mums in business. I’ve found that these “foundational” productivity practices keep me on track and ensure that I maintain the momentum I need in my business. They may be a little different to what you may have heard of before, but from experience, I know they work. Exercise first – your day is different when you start it with exercise. The time you invest will be recouped with increased activity, motivation and feel good endorphins. Exercise will make your energy soar! 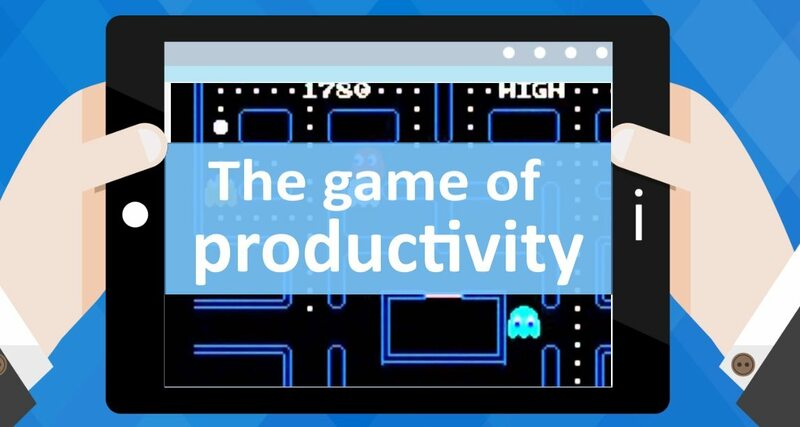 Game-ify your productivity – Make your workday fun by turning tasks into games. Set time limits, challenge yourself to complete tasks within time frames, set up visual progress barometers, reward your wins. Write down your values and your goals – read them every morning before starting work for increased energy and motivation. Make them your mantra. Identifying and being mindful of your values will ensure you’re working in line with your purpose and will help to drive your passion in what you do. Go to bed early and get up early – Set the alarm for 5am. You’ll be surprised how much you’ll get done by 10am when you have an early start. Once you adopt this practice you’ll impress yourself in how productive you can be. Drink more water – Fill a 2 litre jug in the morning and ensure it’s empty by late afternoon. Add a squeeze of fresh lime juice in your first glass of the morning for your digestive system. Stay hydrated for increased concentration and to stave off lethargy. Fuel your body by eating healthy foods 3 hourly. This practice will keep you alert by maintaining your blood sugar levels – meaning no more energy slumps. Regular eating promotes an efficient metabolism and provides nourishment leading to a healthy body and healthy immune system. Your best practice for disease-proofing your body. Be Present – multi-tasking is out. Select one task, give it your full focus and pour your energy into that one thing. Being present and mindful in that one task will have you completing it quicker and more than likely with a better result. Whether it’s writing, filing, making calls or your time with the kids. Be fully in that moment mind, body and soul. As an ex-multi-tasker I can definitely attest to this one. Routine rules – my personality wants to rebel against this one at times, but routines work! Research what the most successful people rate as the best productivity tactics and you’ll find routine is the common theme. I’m sure you know the benefit of routine in your family life? Well, it’s the same in business. Create your routine, turn things into a game where you can and challenge yourself to win. Create once, use often – With the repetitive nature of many tasks in business, it makes sense to create a master copy of repetitive documents. This system works for emails, letters, newsletter templates, phone scripts – anything that’s repeated frequently can be adapted or duplicated from a master copy which will save you hours of work. Systemise everything you can to save time and to ensure repetitive tasks get done. Turn off unnecessary screens and distractions – TV, Facebook, email, etc. If you’re in a home office, block some time to go to a café or the library to get away from the home distractions. A new environment can often stimulate creativity and new ideas. Don’t forget – while we want to be successful in business, we also want to be happy and enjoy what we do. Adopt practices that work for you and your lifestyle and flip boring tasks into games and challenges as much as you can to bring fun to your day. This will also help to alleviate the stress that inevitably builds up. If there are any experts at game-ifying things, it’s mums. You don’t have to stop playing because you’re a grown up. Play the game of productivity and get the things done that matter. Go to it! How do you keep yourself productive? Leave a comment below. Come join us in the Business Mums Lounge (free Facebook group) and let’s continue the discussion there. Lesley O’Donoghue has been a Mum in business for over ten years. 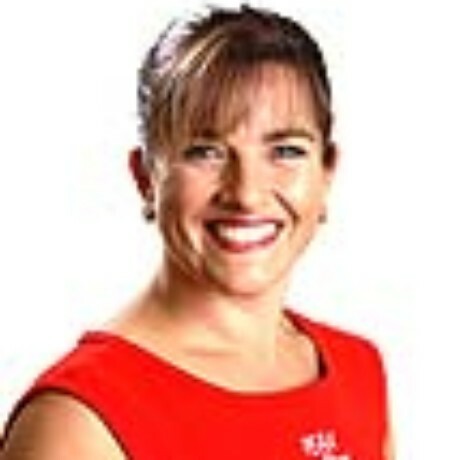 She is passionate about helping other Mums and is passionate about business. Lesley is driven by helping others to succeed. Her commitment to helping other Mums in business led her to start a ‘Women In Business’ networking group in her local area. Lesley has grown her own Personal Health and Fitness business and now mentors other business owners to achieve their lifestyle and business dreams. Lesley also runs ‘Fit For Business’ Retreats in Bali twice a year. 0 responses on "The Game of Productivity"